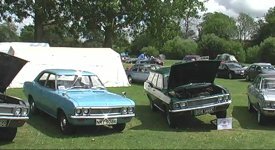 Welcome to the Vauxhall VX4/90 Drivers' Club, the club for owners and enthusiasts of ALL FD, FE and VX series Vauxhall Victors, Vauxhall Ventoras and Vauxhall VX4/90's. If you own, owned, or just like any of these cars, then this is the web-site for you! It doesn't matter if your example is immaculate or a long-term restoration project, it doesn't matter if you're searching for a suitable example or you'd just like to reminisce... we're happy to see you here! The club provides a quarterly, A5 sized magazine, plus friendly advice on running, servicing and improving the cars. Our spares scheme can help you to track down those elusive parts to complete a restoration, or just to pass the next MOT. There's also access to the Vauxhall Trade Card scheme for service parts like oil and filters. 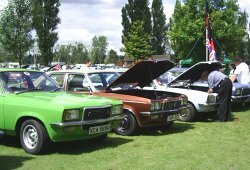 The club attends a variety of classic car shows throughout the year and, as members of the Vauxhall Bedford Opel Association, our members can also participate in all VBOA organised events including the annual National Rally - a must for all Vauxhall fans! If the site has brought back fond memories of a Vauxhall Victor from long ago, or whetted your appetite for something different on the driveway remember that the club is also the best place to find vehicles for sale. So if you would like any further information about the club please contact us, or take a look at the VX490 Drivers Club Forum.